For horses in medium or hard work. Ideal for showjumping, eventing, dressage or hunting. Light Competition Mix is an increased energy museli mix with boosted vitamin and mineral levels for performance. Power & Performance is our revolutionary, high energy competition feed, ideal for horses in harder work, particularly those who tend to be fizzy or sharp on traditional competition diets. 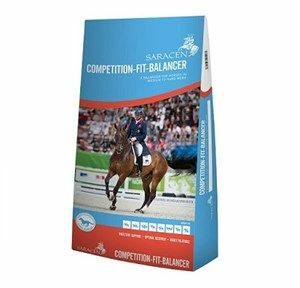 A performance feed ideal for improving stamina in endurance horses, eventers, dressage horses, driving horses. A very palatable light muesli mix, with added long fibre. Baileys No.22 Prep-Ease Mix. Baileys Prep-Ease is a reduced starch (18%), non-heating mix formulated to promote condition and meet the nutritional demands of growing youngstock, while encouraging a calm temperament. Baileys Bruised Best British Oats have been carefully selected & thoroughly cleaned to ensure that you are getting consistent results when feeding. 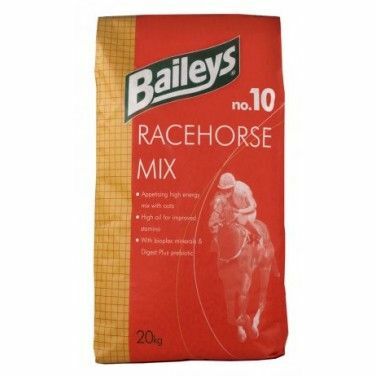 Baileys No.10 Racehorse Mix is a highly palatable energy dense mixture which is especially useful for improving recovery rates in horses that struggle in between training or hard working sessions. 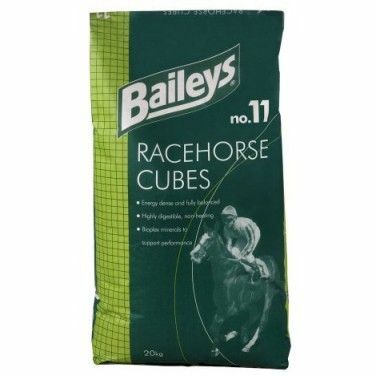 Baileys No.11 Racehorse Cubes are an energy dense feed designed to be highly digestible & lower in starch than alternative feeds to reduce erratic behaviours & negate digestive upsets. 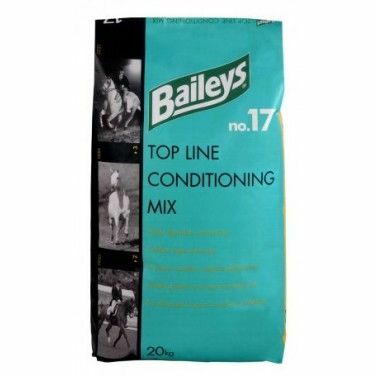 Baileys No.17 Top Line Conditioning Mix is a non-heating mix designed to have similar properties to the Top Line Conditioning Cubes. 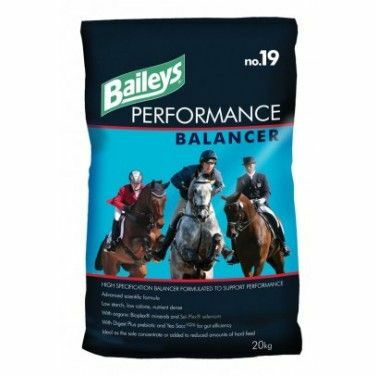 Baileys No.19 Performance Balancer is a nutrient dense, low energy, low starch feed designed to give performance horses the nutrients they need without the calories associated to a traditional mix or cube. 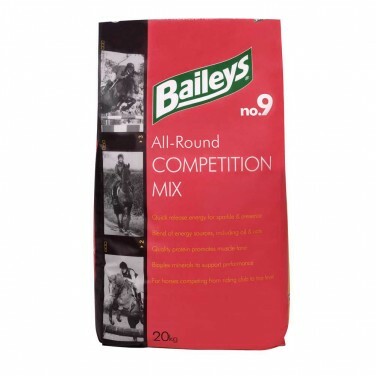 Baileys No.20 Slow Release Condition & Competition Mix is an enticing, highly palatable mix combines carefully micronised cereals with superfibres, including those provided by Alfalfa Blend chaff. 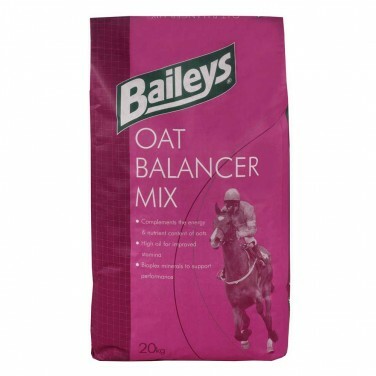 Baileys Oat Balancer Mix is a high energy mix designed to be fed alongside oats, and scientifically formulated to counteract any nutrient deficiencies that may be found in them, whilst also providing additional calories. Cavalor Action Mix has been formulated for competition horses at light work (4 to 8 hours a week). 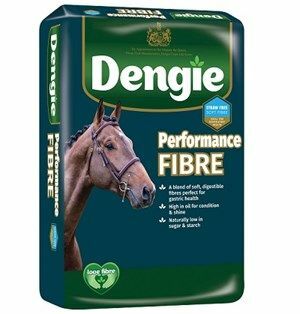 Dengie Performance Fibre for fit, athletic horses which are typically picky and therefore difficult to feed. 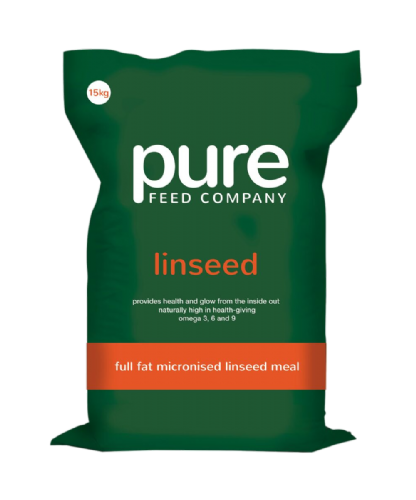 This is a high energy fibre feed that encourage the fussiest of feeders. Dodson & Horrell Competition Country Mix helps to improve your horse's digestibility and energy. It is fully supplemented and contains high quality protein providing essential amino acids. Dodson & Horrell Competition Cubes contain high quality protein providing essential amino acids. 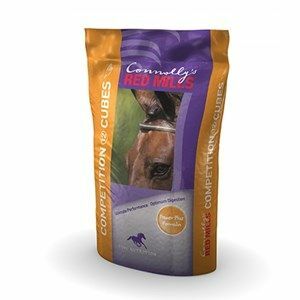 The cubes are fully supplemented and are high in fibre, giving your horse the best attitude to the competition. Dodson & Horrell Endurance Mix has been formulated to support performance and recovery in horses that are competing at the top end of their sports. Unique blend of sainfoin, alfalfa and grass chaff for palatability. Includes Fibre Plus Complex to support digestive function and fermentation of fibre. Dodson & Horrell Microfeed is one of the highest energy rations on the market. Microfeed has been formulated for horses in hard work or undertaking strenuous competition. Staypower Cubes are based on a high fibre and high oil formula and are ideal for horses and ponies prone to excitability. They can also be fed in conjunction with ERS Pellets. Dodson & Horrell Staypower Muesli calories are delivered by a carefully controlled balance of slow releasing energy ingredients providing fuel for the mind and muscles without making your horse over-excitable. Equerry Performance Cubes are designed to meet the energy requirements & nutritional needs of competition horses & ponies in medium to hard work. Equerry Sports Mix is a highly digestible formula designed for competition horses & ponies in medium to hard work. Growell Feeds Tiger Oats are a low starch, high oil and high fibre feed. It gives a slow-release energy and contains vitamins and minerals, and so gives your horse a well-balanced diet. Havens Power-Plus Mix is a dry energy mix for sport horses with black oats and low protein content. Ideal for horses in training at the peak of their fitness. Mark Todd Maestro is a scientifically formulated fully balanced complementary feed for horses and ponies in medium to hard work. Using only the highest quality ingredients. Pure Feed Company Pure Performance delivers doubly on energy. As well as our usual preferred slow-release energy source of oil, this feed also contains high-quality whole oats. 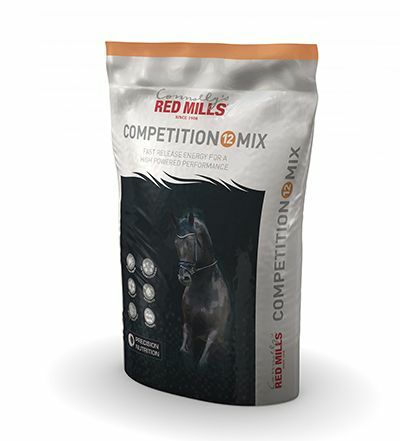 Red Mills HiOil Cooked Racehorse Mix 15% contains a unique molasses blend of steam cooked flakes (oats, maize, barley and soya beans), whole oats, balancer pellets, vegetable oil and garlic & herbs. Specially formulated oat balancer in a muesli form. With a combination of steam cooked barley, maize and peas to create a complete ration when added to quality oats. A performance diet formulated with oats to deliver a higher level of fast release carbohydrates for the horse that needs additional fuel and stamina. 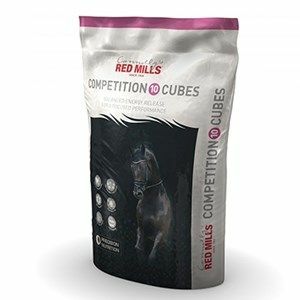 SPECIAL ORDER- Red Mills Oat Balancer Pellets are high in protein, vitamins and mineral to cater for the needs of performance horses. Rowen Barbary Pro Ultra is a nutrient dense feed providing top quality proteins for horses that undertake short, sharp bursts of work or for horses that need a little more sparkle. 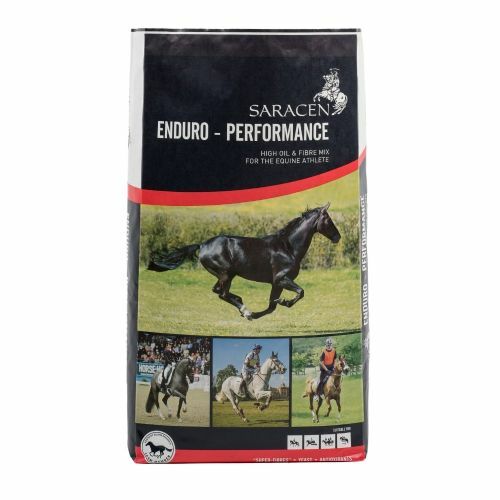 Saracen Enduro-100 is a high oil, high fibre mix designed to meet the nutritional demands of horses taking part in high level dressage or endurance events. Saracen Racefit Cubes provide performance horses with a wide range of energy sources that are encased within a highly fermentable fibre & low starch formula. Saracen Recoup 11 is a highly palatable sweetfeed that is suitable for horses during pretraining or when getting them back from a break from training or injury. Saracen Re-Leve is a cereal free, low sugar, low starch performance feed that is especially useful for sensitive horses. Saracen Speed Mix is a high performance mix to meet the demands of horses that expend their energy in an intense fashion, not suited towards endurance athletes. SPECIAL ORDER - Spillers HDF Oat Balancer Mix perfectly balances the diet of horses in hard work fed oats. 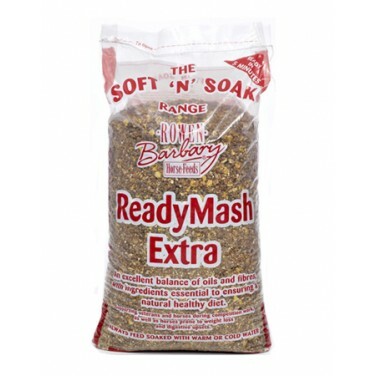 It is a highly palatable mix that blends easily with oats to create a fully balanced diet. 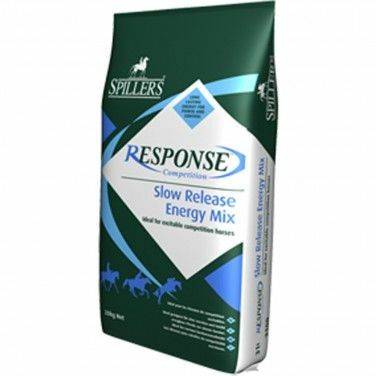 Spillers Instant Energy Mix is suitable for horses and ponies with medium energy requirements competing in all disciplines. Spillers Racing Mix & Naked Oats are suitable for horses in hard work. Contains naked oats for a concentrated energy source. Spillers Slow Release Energy is suitable for horses and ponies with medium energy requirements competing in all disciplines. TopSpec TopChop Sport is a highly palatable mixture of high temperature dried alfalfa & a selection of meadow grass species all coated in soya oil for improved conditioning. TopSpec Turbo Flakes provide horses with a source of fast release energy within a highly innovative muesli blend that has 35% more digestible energy per kg than quality oats. TopChop Grass is a blend of specially selected, dried, British grasses. 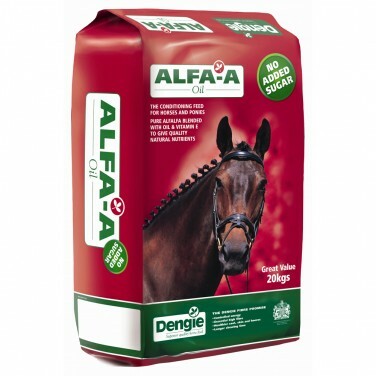 It is ideal for horses and ponies needing a soft, very palatable chop, perfect for fussy feeders including fit performance horses and elderly horses. Equilibrium High Energy helps to maximise your horse's digestive health system and delays fatigue. It also helps to maintain hydration and supports your horse's muscle health.